Weatherproof your designer suit with a mac or trench coat. 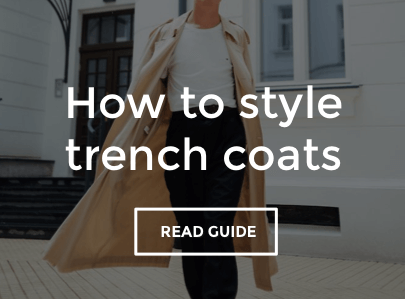 Offering full-length protection against the best that the weather has to throw at you, trench coats are a must for any city slicker's wardrobe. Macs are a lighter alternative for warmer months but when you still need to avoid rain showers. Opt for a slimline fit for a more tailored look to complement your workwear and wear yours collar up.